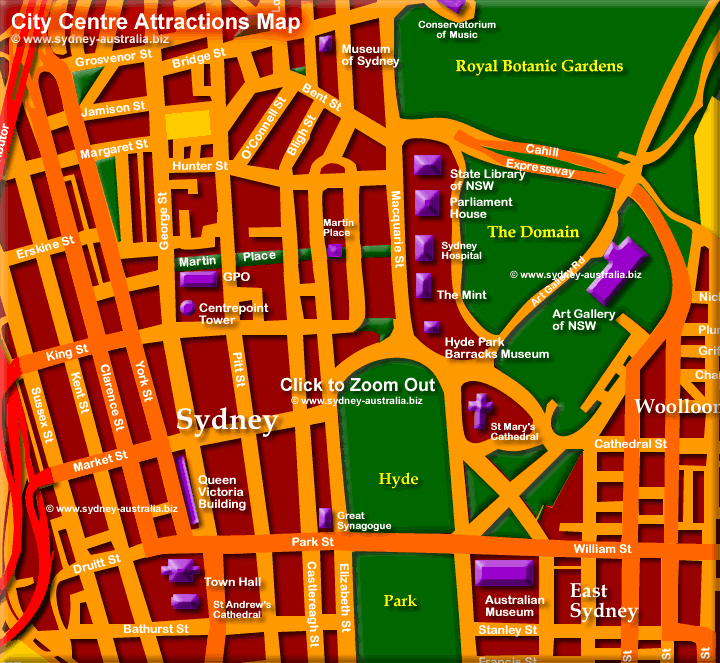 Central Sydney Tourist map - See further info about the City Centre Sydney CBD Centre. Or see the South Sydney CBD Map. See The Rocks Map for the Opera House and The Rocks. How to get to map for Central Sydney CBD tourist attractions, museums and art galleries. To get further info on our many places to visit see Sydney attractions and Sydney Museums. cdb. The South CBD Map shows the light rail route to Darling Harbour, Chinatown, shopping, attractions and museums Sydney South CBD Map. The Opera House Map also shows The Rocks and Circular Quay at the foot of the Sydney Central Business District Opera House Map. See the Darling Harbour Map for more attractions, museums and things to do - only 10 minutes walk west from the City Center.